In his latest stroke of thoroughly entertaining audacity and bravery...let’s just call it “Mr. 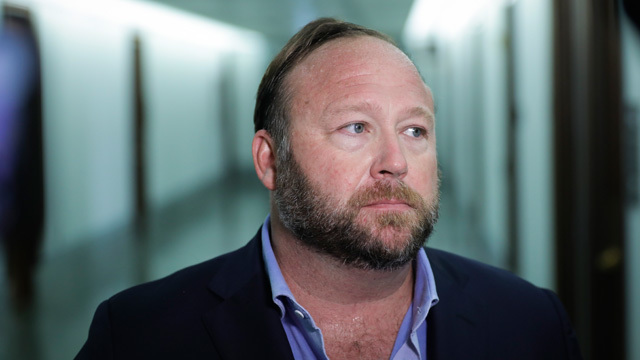 Jones Goes to Washington”...the gutsy and flamboyant Infowars founder has demonstrated afresh why he sets the pace and leads the pack in the world of independent, alternative media. 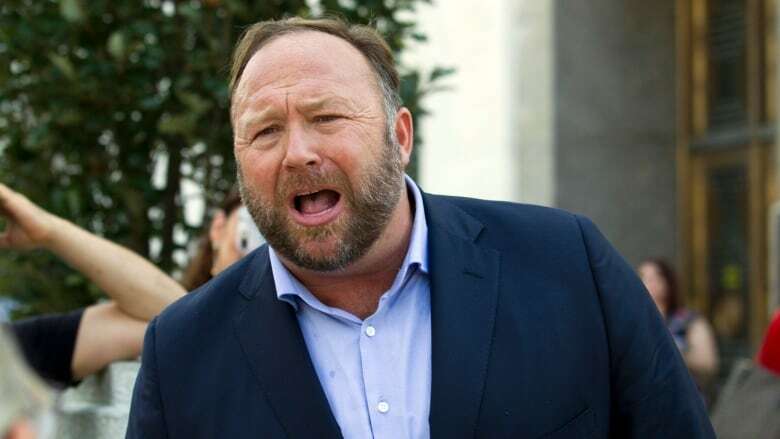 Jones, of course, has been targeted and attacked in unprecedented fashion by a brutal and illicit coalition comprised of assorted representatives of big government, controlled monopoly media, the shadowy deep state, and the monopolistic tech giants the likes of Google, Facebook, YouTube, Apple, and Twitter. In sum...Alex Jones has been singled out as the would be, precedent setting focus of outright, unmitigated, undeniable censorship. His highly persuasive and effective voice is being systematically silenced under the pretense of his supposed crimes of hate speech and advocacy of violence against such ostensible targets as gays, Muslims, and grieving parents of school shooting victims. The demonization of Alex Jones and Infowars is breathtaking in its scope and constancy. A barrage of easily refuted lies are incessantly bandied about as part of a standard introduction and reference point relative to the man and his highly impressive alternative media empire. Never mind the fact that the incessantly parroted assertions regarding Alex Jones are fraudulent and bogus! The whorish, monopolistic, controlled media regurgitates this deceitful party line at every turn...ceaselessly establishing themselves as devoted practitioners of the axiomatic, oft proven reality that if you tell a big enough lie enough times...people will believe it! It is tragic to note the extent to which the national government has become criminal in both composition and practice. Bear in mind...the sole legitimate function of that same government is to defend and safeguard a Constitutional manifestation of governance. The Constitution, after all, is the law to govern the government. Therefore...if government subverts rather than champions the Constitution...they have become criminal and illegitimate in nature. Of course, the minions and agents of America’s shameful federal government rarely, if ever, fail to violate and undermine the Constitution and the Bill of Rights...while simultaneously providing a protective shield and consistent legal cover for a burgeoning host of entities and individuals who become enormously enriched in their personal and organizational financial profiles and status. These government functionaries are essentially bought and paid for. They skillfully go through the motions of putting forth the pretense of carrying out legitimate government business. In reality, however, they are merely role playing...always avoiding and sidestepping that which is truly pivotal and central to the desperately needed rehabilitation and ultimate survival of the Republic! As a classic example of this syndrome, the congress is currently conducting committee hearings concerning ostensible meddling by foreign entities into the results of American elections. What can be done...the tech giant CEO’s and spokespersons are asked, to combat this terrible problem? All manner of posturing and hand wringing are rolled out and put on display for the consumption of the gullible public. Never mind the fact that supposed Russian interference in America’s elections is a complete red herring! All the while...it is those very tech giants...and their illicit accomplices in the controlled, monopoly media who are in fact, guilty to a massive extent of exerting corrupt influence on election outcomes! Yes...the fox is smugly investigating the hen house murders...and disingenuously pointing to a designated patsy (Putin and the long arm of Russian intelligence) as the supposed perpetrator of such dastardly evil! Much to the dismay and chagrin of the duplicitous, traitorous combine that never relents in their campaign of disinformation...the larger than life Texan who dares to proclaim that the emperor has no clothes...has decided and purposed to crash the party...and confront his false accusers head on. 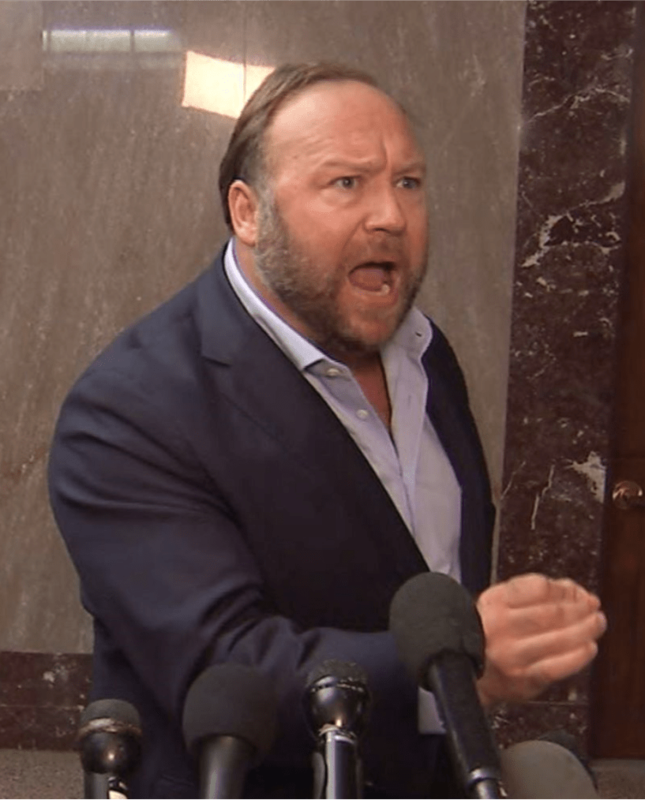 With his microphone, cameras and entourage in tow...Alex Jones has dared to burst on the scene in the heart and epicenter of enemy territory...exhibiting the trademark brashness and fearlessness that has long endeared him to his legions of admirers and supporters. Indeed...Jones effortlessly runs circles around his cowardly detractors as he puts them on the spot and demands that they provide proof and substance to back up their spineless lies and treachery. Much has been expressed and speculated as to who Alex Jones really is...and by what means and methods has he been so successful in building a multi-million dollar alternative media/information empire. Despite these very real observations and queries...the fact is undeniable and irrefutable that Alex Jones has long been perched on the cutting edge of an enormous quantity of dutifully and diligently suppressed truth. For more than two decades he has fought in the trenches and expended massive energy and effort to expose profound anomalies relative to such sea change events as 9/11 and scores of other related subjects and matters of keen interest. Jones is an exceptional showman...never failing to entertain, while simultaneously unleashing a veritable onslaught of revealing and incriminating information about the globalist enemies...both domestic and foreign...of the beleaguered Republic. And now...Alex Jones finds himself at the epicenter of the enemy's crosshairs...being demonized around the clock in a campaign and set up designed to prepare the way for a more comprehensive evisceration of the hallowed precepts of the First Amendment. Make no mistake about it...the enemies of truth and liberty are hell bent on destroying all that is worthy and virtuous in our historically exceptional and unique nation. The wisdom of our Christian forefathers enabled and inspired them to promulgate the Bill of Rights...an eloquent iteration of the inalienable rights benevolently bestowed upon the people of God by their magnificent creator. Hosea 4:6 states that God’s people are destroyed for lack of knowledge. In other words...the suppression and extinguishing of truth creates an environment within which the destruction of the people of God can be realized and achieved. Quite obviously...the potency of the First Amendment and its provision for free speech must be negated and neutralized in the ongoing crusade against the extraordinary power of truth. In this continuing war of words and ideas, the forces of evil are pulling out all the stops. They are seeking to make Alex Jones a catalyst and primary domino in their planned chain reaction agenda. The taking down of Infowars and Alex Jones will serve to open the floodgates in opposition to the full spectrum of our cherished, God-given rights to life, liberty, property, and the pursuit of happiness. May all stand strong in prayer, word and deed...that we might be spared such a dreadful fate. YAHWEH made warrior soldiers out of Israelite slaves. The Messiah told His followers to "sell your cloaks and buy swords". Now, Satan has "feminized" the White, Israelite man, thus making them easy to be defeated by the "seeds of Satan" and their shabbos goyim. 2nd Chronicles 7:14 is our way to victory...if we choose to take it?